A sitemap.xml file lists all URLs for your website and enables other search engines to easily access and crawl important pages on your website. This file attracts other search engines to your website pages. To begin attracting other search engines to crawl your web pages, you'll need to upload your file to your website and register the file with Google. Note: Do not place the XML file in a folder. This file needs to be placed directly in the public_root directory. 1. 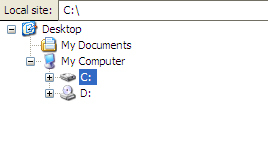 Log in to your FTP client application that you currently use to transfer files within your computer network. 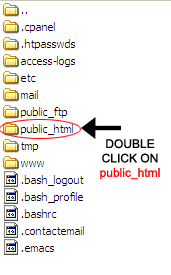 On the right side, locate and double click the public.html folder. 2. A tree menu opens on the left. 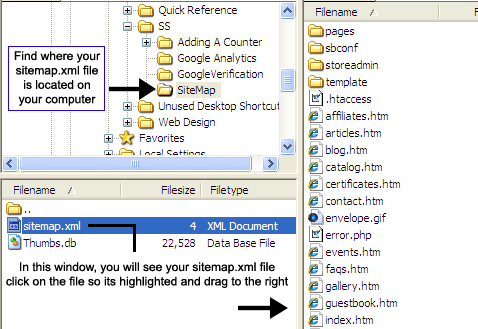 Locate the SiteMap folder within the map. 3. 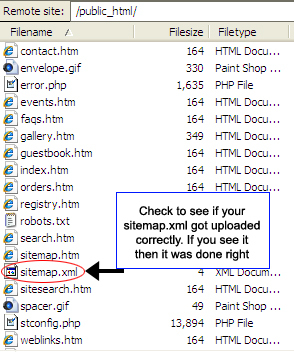 Click the SiteMap folder and locate the sitemap.xml file. Drag the file and place it below the files to the right. Be careful not to drop it into another file or folder. You have located your sitemap.xml file. 1. Click here to log into Google Webmaster Tools console, using your Google account credentials. 3. In the left-hand pane, click the Crawl drop-down arrow. Then click Sitemaps. 4. In the upper right-hand corner of the page, click the ADD/TEST SITEMAP button. 7. 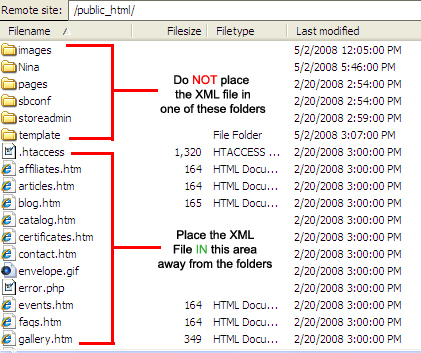 Back in your FTP site, verify that the sitemap.xml file appears in the listed files. If the file appears, then you have successfully uploaded the file. 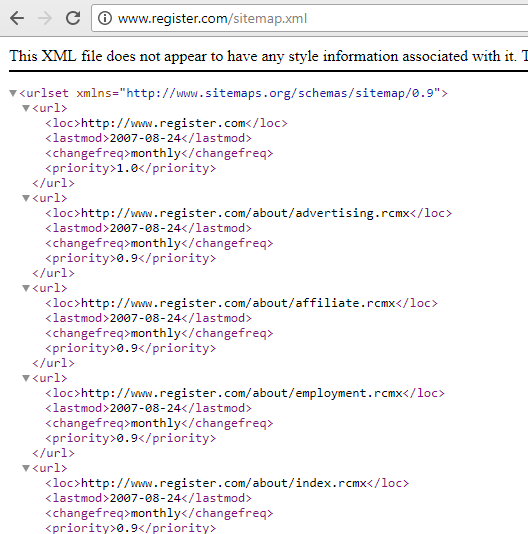 You have uploaded your sitemap.xml using the Google console. Web.com—How Do I Install a Non-301 Redirect on an Apache (UNIX) Server? 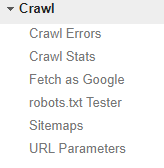 Web.com—What Are /robots.txt Files? Web.com—What Is an Image Alt Tag?